Todays shot has no bag…And normally I wouldn’t feature it because of that. But it is such a nice setup and so pure that I felt it should be included. 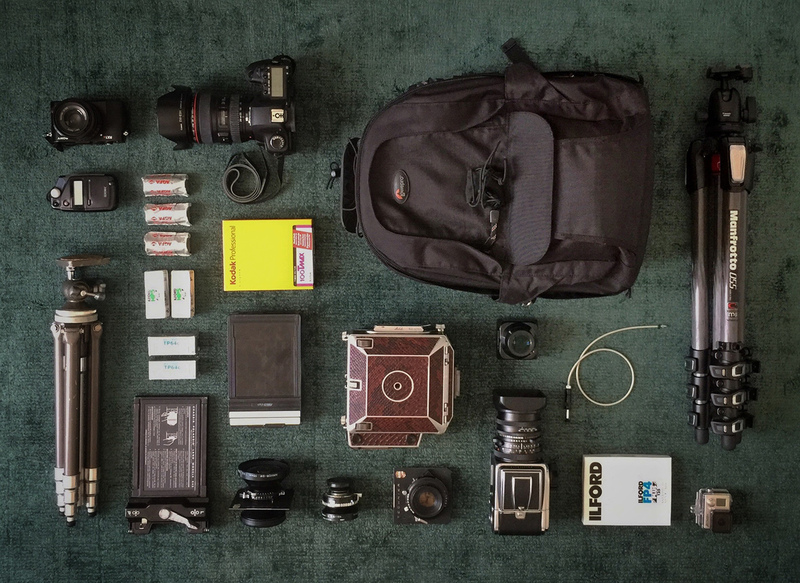 I have followed your site for a while now and I love the variety of gear and photographic styles that appear there. I come from New Zealand but 5 weeks ago I moved to Denmark to study Architecture. For the past 5 weeks I have also been travelling around Italy with my m4/3 kit which I love to bits and has been beating my old canon full frame gear even. I admit there is quite a lot of gear here but usually only one of the film cameras will come out and the big Canon 200mm f2.8 usually stays in the car unless I have a particular shot in mind. As far as bags go, I use a Dakine Helipro backpack that has served me well on the mountains for the last 4 seasons and it’s most useful feature is the camelback water insert. It is 40 degrees in Italy! But other than that, my m4/3 lenses fit in my pockets easily. 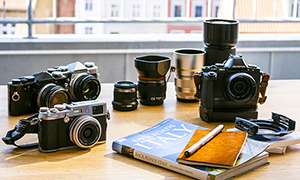 I usually have the Panasonic 14mm and the Olympus 45mm in one pocket and my passport and the Olympus 75mm or Panasonic 25mm in the other. Back roads of Italy- Guide book that I highly recommend for finding towns you would otherwise not know exists, and a handmade suede notebook + some cokin P filters. Thanks Nicholas. 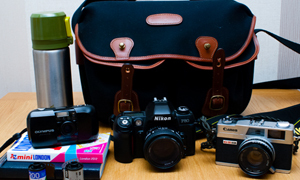 Very nice gear, although I would have liked to see the bag in the shot somewhere. Check out the links and make sure you come and comment. Oh, and please try to include your bag in the shot, seriously. Don’t blame me but sometimes I think people should pay more attention to what they post. 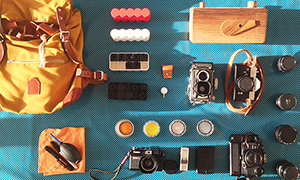 In your bag means what you use in the daily life or when you travel. 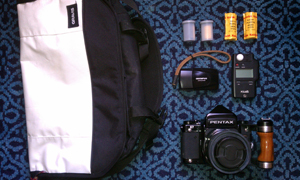 A full set of camera and lenses that no one can carry in one bag or 6 cameras near a bag for me have nothing to do with the topic. It is more “in your shelf” than “in your bag”. 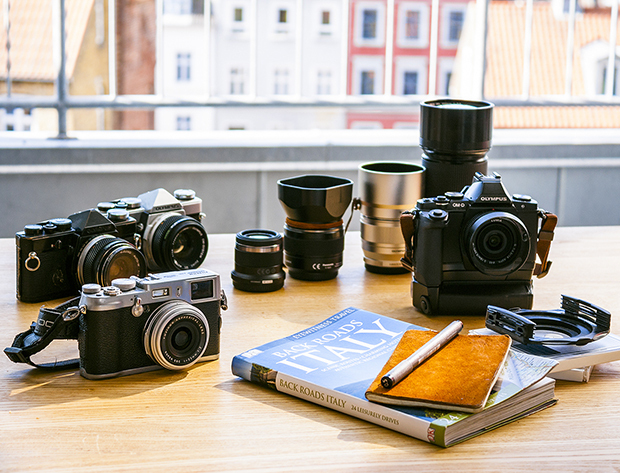 Luca, i agree with you, there should be a category just for that camera collections. Nothing really special here but overall nice Oly set!